Our patented fastener system has been saving “Do-it-Yourselfers” time and money for over 20 years. Our “Breakthrough” fastener system allows you to install a wide variety of energy saving products, quickly and easily. 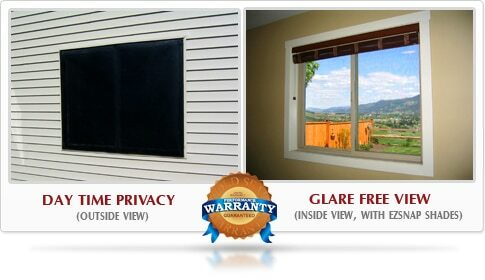 From energy saving solar screens for your home, RV or boat to our exclusive Diamond Weave™ RV Skirting. This break through innovation DIY way to make and install energy saving products and covers with professional looking results. We designed our fasteners to not only function as a reliable fastener, but to also allow an easy snap adjustment of the fabric during and after installation. The EZ Snap® fasteners have proven their durability with thousands of applications of exterior shade screens on homes and RVs, skylight shades and even RV Skirting. The EZ Snap® fastener allows you to install your project like a pro without any experience or specialized tools. Maximum Comfort: EZ Snap® exterior window screen products and solar window shades give consumers the best of both worlds, blocking the heat without blocking the view. Our unique shading mesh is an optical grade and allows you to see right thru it. As a matter of fact, because it reduces so much glare, your view may even improve. Our screens can also lower interior temperatures by as much as 15 degrees Fahrenheit. 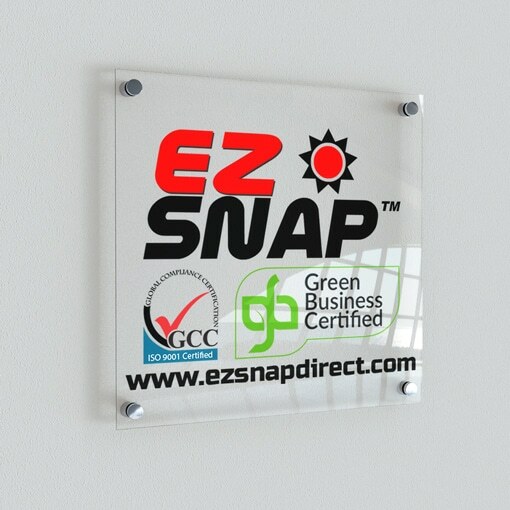 EZSNAPDIRECT is pleased to offer this amazing product, direct to the public through our online store. 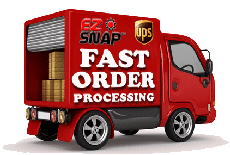 EZ Snap® ships FAST all over the U.S.A. and CANADA via UPS and Purolator. Highest Quality: Committed to manufacturing only top quality products in North America, with durability and performance as our main focus. Our products have the maximum amount of U.V. and fade protection available. Energy Saving & Environmentally Friendly: With global warming and rising energy costs our EZ Snap® line of products offer consumers a real way of cooling their homes and RV’s while saving money at the same time through reduced air conditioning use. 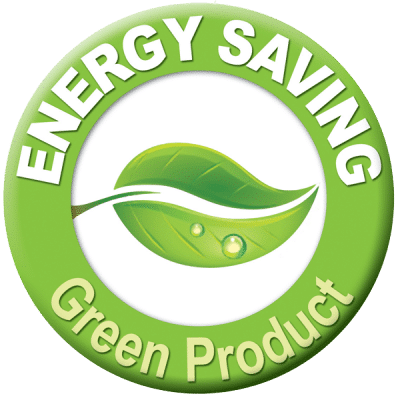 EZ Snap® shade screens are proven and viable alternative to power hungry air conditioners and one of the most cost effective energy saving products for sale on the market today. According to the U.S. Dept. of Energy, air conditioners use up to 16% of U.S. electricity and consume 43% of the U.S. peak power load in the summer. Exterior shade screens have now replaced awnings as the most popular exterior shade product. They block up to 90% of the Sun’s heat and typically cost 75% less than awnings. With global warming and rising energy costs our EZ Snap™ line of products offers consumers a real way of cooling their homes and RV’s while saving money at the same time through reduced air conditioning use. EZ Snap™ shade screens have been proven to be a viable alternative to power hungry air conditioners and one of the most cost effective energy saving products for sale on the market today. EZ Snap™ exterior window screen products and solar window shades give consumers the best of both worlds, blocking the heat without blocking the view. Our unique “Non-Fray” shading mesh is an optical grade and allows you to see right thru it.